Unlock the mysteries and the internal mechanism of the world through one of the most imaginative and creative artistic expressions ever – mathematics, with Roger Antonsen. 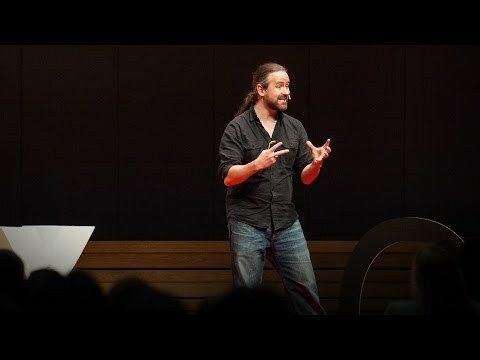 In his TED speech, he explains how small changes in perspective can reveal patterns, numbers and formulas as paths to compassion and understanding. What do you think of this video? Does the man know what he is talking about? Did he confuse you a little bit? Does it make sense or not? Do you study math? Do you love math? Now we know why math is important and not only to count. In our opinion this has sense and children should learn math more. It has a bigger purpose than just counting. It means a lot more than just using it to calculate product prices in store. It is a fact that fewer students want to become mathematicians. Most of them quit learning math and decide to study as much as they need just to pass the subject. They would even accept the lowest grade just to pass. That is something that needs to change because math has a huge purpose in life and it helps us develop our brain.